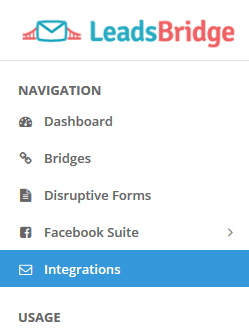 To create a new integration, please go to the Integration section from the left menu. Enter a recognizable name for your integration. Select the integration provider from the providers list. Configure required settings when prompted.